Learning to drive a personal car and getting a license is easy enough but if you are looking to make a career out of commercial driving, you would need to undergo professional training before you can apply for a license. There are different kinds of licenses too, like for driving PCV or passenger carrying vehicles you would need a D1 minibus license and for driving a goods carrying vehicle you would need C1 – license and so on. If you have a passion for driving and willingness to learn, just come to us at GP training in Windsor, London and it is our responsibility to make a skilled commercial driver out of you. 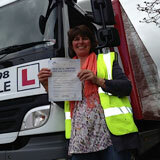 LGV (HGV) training – for driving large good vehicles or LGV or for driving heavy good vehicles or HGV, you would need to undergo this particular training program. Training in this segment would open up money earning opportunities for you since every factory need goods carrying vehicle drivers. Depending on the weight of the goods your vehicle would carry, you can choose from C1 – license, C1 + E - license, C1 + E – 7.5t + trailer, C – up to 32 tons, C + E truck & trailer. The entire above licenses are meant for driving rigid vehicles only the C1 + E license is meant for driving an articulated vehicle, hence opting of this license would further enhance your money earning opportunities. 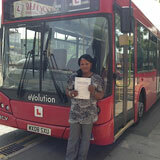 PCV training – meant for driving passenger carrying vehicles, it would also open a career path for you. The categories to choose from are D1 minibus, D1 + E minibus & trailer, D automatic bus, D manual coach, D + E coach & trailer. If your vehicle is completely manually operated only then you would need the D automatic bus and D1 minibus, all the others are meant for automated passenger carrying vehicles. The category of training you choose would depend on the number of passengers you wish to carry in your vehicle too. 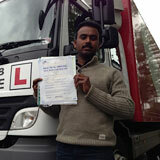 Driver CPC training – even if you have PCV license or LGV (HGV) license, you would not be allowed to drive professionally if you have not undergone the CPC driver training. You have to undergo 35 hours of training periodically within 5 years of time. 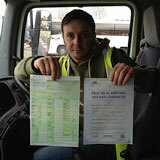 Initially you have to qualify for the driver CPC modules 4 and 2 among all the driver CPC modules. Module 4 deals with the practical test of driving the vehicle you would be driving professionally and module 2 consist of CPC case study such that you have a thorough understanding of the situations of the road before you drive professionally. 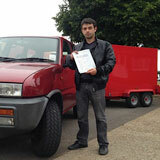 B + E car and trailer training – if you want to make a career of driving a towing vehicle, this training is meant for you. Depending on the MAM or maximum authorized mass that your vehicle would tow, you would have to either apply for a B license or a B + E license. The training offered at GP training is a combination of theoretical classes and practical training. This is since driving is not all about learning practically you would also have to know various other aspects of driving like the traffic rules, the road safety regulations and so on. For instance, the vehicle you choose to drive should be as per your age and the condition of the vehicle should be safe for the roads as well as the vehicle should be legal. All this and more are taught at GP training and even if you do not understand English, you have nothing to worry about. All our trainers are not only authorized driving instructors who are registered with the DSA but are also multilingual, which means we would instruct you in a language that you understand. For your convenience, all the theory books at GP training are multilingual as well. The vehicles we use for training have dual control system, which means that there are absolutely no chances of any accidents while you learn driving. 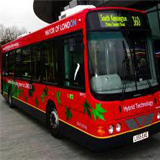 The vehicles are well maintained and are in excellent working conditions as well. 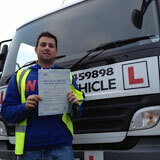 If you are worried about passing your driving test, our training programs would ensure that you pass with flying colors. Even if you fail to clear the driving tests the first time, we provide the service of pass protection and PCV pass protection. 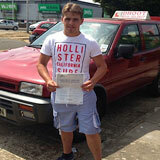 This particular GP training service we provide, allows you to re appear for your driving test. If you are interested to know more about all the services offered by GP training and all the training programs too, make sure you pay us a visit at GP training in Windsor, London.